Duck Swims on River. 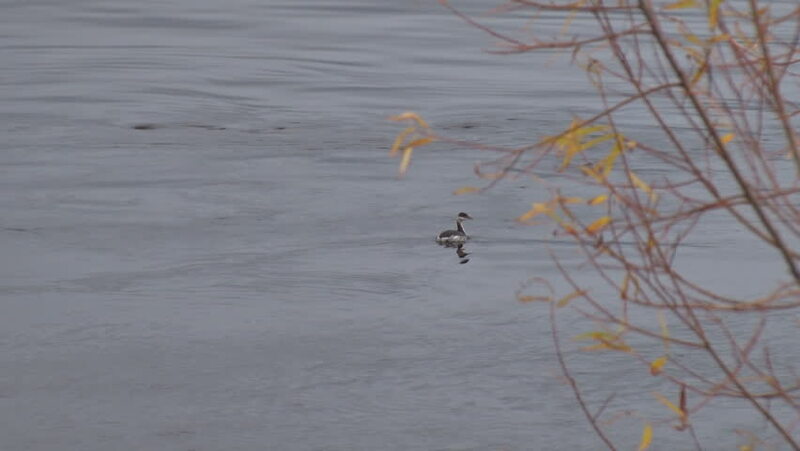 The female Mallard floating in the fall on the river. The bird blows over. Before bird yellow leaves. hd00:13Two Ugly Grey Swans Swimming on the Lake at Cloudy Weather and Looking in Different Direction. 4k00:11Mating Common Winter Damselfly (Sympecma fusca). A couple perched on floating reed.